The vision of the late legendary, Padmashree Dr N T Rama Rao, erstwhile Chief Minister of Andhra Pradesh, became a reality when 'The Andhra Pradesh University of Health Sciences, first of its kind, was established in 1986 by the Government of Andhra Pradesh, with Vijayawada as Headquarters. It is a state wide University with the aim of ensuring efficient and systematic education, training and research in allopathic and Indian systems of medicine, Dentistry and Nursing. Act No.6 of the A P Legislature was passed accordingly and the University was inaugurated on 9th April, 1986 by the then Chief Minister Dr. N.T.Rama Rao. The University started functioning from 1st November in the same year. The online applications will be hosted on a web server which maintains highest security standards and has reputation of hosting such sensitive software and data. The software contains security audit through all the Quality and Security validation procedures before being hosted it on the web and approved by the University. Separate applications will be received for each course from the candidates. SMS facility to the candidates from submission of online application to release of Merit list and any other matter for communication. Maintenance of Physical files of all Secretariats at CRB. Receive physical currents/files from departments, twice a day. Barcode and index all the physical currents/files. Maintain a web application with logins for all the required departments. The departments can see where the current/file is physically located in CRB. Department can raise request on the web application to retrieve the physical current/file from CRB in 1 hour. Show the list of currents/files that are retrieved from CRB and currently with the department. The web application will provide a reporting module generating various user defined reports on real time basis. Maintain required personnel with a project manager/supervisory staff to pick up currents/files from department to CRB (or) deliver currents/files to departments from CRB. Provide IT Hardware and Barcode scanners by the vendor in the name of Additional Secretary (General), GAD (Political). Undertake required periodic pest control of CRB space. Maintain data security and data governance. The broad scope of the projects includes Study, Design, Develop and Maintenance of Web Portal for Online Admissions through Web Counselling and Student Progression into Industrial Training Institutes (Government and Private), DET, Govt. of Telangana. 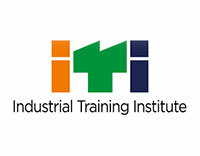 Master data management of ITI’s, course information, duration, and eligibility criteria and reservation rules. Schedule Management such as online application, admission and verification dates. The registration form will be entered by the student or with the help of Nodal Officers as identified by the Department from nearby ITIs. The student registration details automatically created in database. The particulars of the candidates who apply for admission such as Name, Father Name, Date of Birth, GPA and marks etc., should be automatically obtained from the data furnished by Board of Secondary Education, Telangana State by entering Hall ticket Number and Year of Passing by integrating the proposed application with State Education Department, Govt. of Telangana. The candidates belong to CBSE, Open Schooling and other states only should enter the data. Student registration, application submission, web Options, verification of submitted application details such as educational qualification, age, reservation details and support documents if any, fee collection details. Provision of an administrative login shall include to the Dept. for checking and authentication of successfully registered applicants, rejection of invalid applications. Student Application Tracking at various phases of admission viz Registration, Verification, Counselling, Merit List Generation, Seat Allotment and Admission. Merit List Generation - Merit list will be generated and published on the portal for allotment based on seat availability and as per state reservation policy and to issue online provisional seat allotment letter (printable) to each successful candidate during each counselling round. Re-option facility for instituted and trade / course in each phase. Sending of SMS and Email during each phase of admission process to students. Auto verification of student registration details with Board of Secondary Education, Govt. of Telangana, National Open School and Central Board of Secondary Education. The system shall support multiple phases of admission process till all the registered applicants get admission. The system shall provide data upload / download facility feature for institute users, nodal officers and admin users. The web portal includes development and maintenance of departmental portal. Web portal shall be the common interface for access of online admission resources for all the users of the system. The portal should be secured with https. General Information about Department, ITIs and their location, courses being offered by both private and Govt. ITIs. ITI wise courses, number of seats open for admission and admission process, fee structure and downloadable prospectus/forms/applications. FAQs, contact us, Latest news/ notifications/ important information by the department, help desk information, Linkage to RTI, Nodal Officers information and their contact details, admission schedules. Student registration with login credentials to monitor / track the application status. Various Interactive application forms in downloadable format with instruction manual. 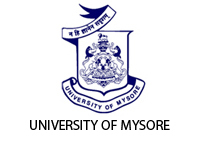 The University of Mysore, Mysore, Karnataka was established on 27th July, 1916 during the reign of the Maharaja of Mysore in the city of Mysore. One of the India’s premier public universities wanted an e-Governance solution to address its existing and emerging needs. The existing processes at the university were carried out manually. Administrative processes, financial statements, asset management, human resource management and other related processes were to be automated and integrated. Earlier, the Academic Section of UOM was engaged with verification, scrutiny, issue of Hall tickets and entrance exam scheduling for almost 45-60 days. Previously, there was a lot of overlap in exam-scheduling leading to re-examination. There have been many instances in which entrance exams pertaining to 2 different courses were scheduled on the same day & time due to manual scheduling. The applications had to be collected and submitted in-person on the main campus for all the courses across 76 departments in the University. The time taken to process applications was 45-60 days and it required the combined effort of 40-50 personnel to carry out the functions involved in the process. Q Ventures assessed the existing system and processes, and performed a requirements analysis to achieve improved governance. We defined the strategy and deployed an e-Governance system. We leveraged open source tools for developing the e-Governance solution. Information related to the processes was obtained by an onsite techno-functional team through knowledge transfer sessions with the university staff. During the academic year 2014-15, for the very first time, 26000 Students applied online for multiple courses across 76 departments for both the University’s Main Campus and its 120 Affiliated Colleges using the QV Edutech e Governance Application. With our e Governance Application, the work load for hall ticket generation has reduced significantly. The software application will alert the Applicant at the time of filling the online Application. Once the last date of submission is announced, Hall tickets will be generated automatically in the respective applicant’s dashboard. One of the most efficient features is the Automatic Exam Scheduler based on the Applicants’ Registration for various courses. Our software application throws an Alert when 2 exams are scheduled on the same day & time and the error can be rectified immediately. Admissions process is well automated. The Department Chairmen can directly verify the students’ details online and generate automated consolidated selection list based on various parameters such as rank, eligibility category, institutions etc. The complete admissions process is now completed within a record 7 days. The software will generate a listed of admitted candidates for every college and only a student who gets an admit confirmation will visit and collect his/her admission letter. The e-Governance system has helped the University increase its revenue. The University has received an additional 40% of applications in 2014-2015 as compared to 2013-2014 as applicants were able to apply to more courses with ease due to the online application form on the portal. Automated Reminders such as SMS Alerts and Emails have helped UOM stay connected with its applicants. The HRMS module is currently managing data of 1400 employees and 1200 Pensioners which was in accordance to the 6th Pay Commission and State Govt. Norms. Exam Timetable has been automated to enable error free scheduling. The Finance Module has been designed according to the 2014-15 UGC set Accounting norms to improve efficiency. Mangalore University is located in Mangalore, Karnataka. The university has 25 PG departments, 208 affiliated colleges/institutions that include 2 constituent, 4 law, 18 education and 5 autonomous colleges. In the existing manual system access to and retrieval of information from the university is a time taking process. Information in the university flows through asynchronous communication channels and is not readily available to the stakeholders. Deploying an Interactive Digital Information Management system for University, satellite centers and constituent colleges. Access of information to all stakeholders-students, staff, alumni and management- via web portal, kiosks and digital displays. The university web portal along with the network of kiosks and digital displays across the university, satellite centers and affiliated colleges facilitates easy access to information for everyone. Students can apply online. Staff can manage their schedules and communicate with colleagues. Management can access business intelligence reports. 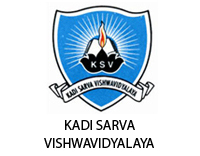 Kadi Sarva Vishwavidyalaya is a Private University in Gujarat approved by University Grants Commission (UGC). The University was founded in 2007 by Sarva Vidyalaya Kelavani Mandal in Gujarat, a trust which has been in existence for more than nine decades. There is an absence of a Centralized Reporting mechanism for quick decision making. The University has been operating independent software for various departments without an integrated approach. Most data has been maintained manually. Centralized management of applications and Real-time synchronization of data for all stakeholders. All the manual work required to generate enrollment numbers took several months after the students’ admissions. Absence of real time information about asset acquisition from the various colleges under the University and inventory management made it very difficult for the university to keep a track of all the requirements and purchases-especially those of stationery. There was a lot of wastage in terms of printing extra question papers and answer booklets. The dependency on manual forms and data has been replaced through automated work flow process leading to transparency and accountability. Our e-Governance Solution enables real time communication among all users of the system to build efficiency in reporting and to analyze gaps through business intelligence. All individual colleges and schools that have independent portals have been integrated into the parent portal. Our solution has simplified the enrollment number generation process. It has an online system in which a College Administrator can upload the Student information and the University can immediately view the student information and generate the enrollment number after the college confirms the Admission. This process will only take a few minutes. Each employee has been provided with a dashboard to add the internal marks and a verification option has been provided to the concerned HOD for giving a final approval. Once approved, the internal marks get published in the student’s respective dashboard. The marks will also be visible to the Examiner. Every employee’s details such as name, work experience, teaching subject etc are maintained in the system. This has helped the university to easily identify the eligible paper setters. The software has additionally enabled respective stake holders with the flexibility to retrieve information related to attendance, leaves, marks, fee details, online exams, timetables and others. The solution also has an Asset Management module in which the Asset Supervisor and Management can get information about the Assets acquired, disposed and managed. The University can accurately identify and track its consumption of question papers, answer booklets and other stationery. Join over 5,00,000 others & get started today. Talk to one of our ERP-experts to find out more about the right solution for you. Privacy | Legal | Site map © Copyright 2019. QVentures Pvt Ltd. All rights reserved. gleaned from Internet. We do not lay claim to their copyrights/trademarks unless mentioned otherwise.